We are providing a high grade Baby tungsten Bar in a wide range. It is manufactured by using optimum range of tungsten alloy under high advanced technology, which makes it non resistant in nature. 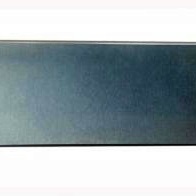 This type of metal bar is widely used in various industrial sectors, ranging from automotive, aerospace to nuclear sectors for multiple purposes. An advanced range of Baby Tungsten Bar, can be availed by our esteemed client in customized forms(only for order in bulk) as per their desired requirements.